So it’s winter here in Scotland. We have phrases in Scots language, as I’m sure you have wherever in the North Atlantic and Arctic countries and regions you live in. “The nichts are fair drawin’ in” meaning that the nights are drawing closer together at either end of the day, leaving fewer hours of daylight. “It’s gie cauld”, in other words it very cold. And in a comic tone “it’s a braw, bricht moonlicht nicht, the nicht”. It’s a beautiful bright moonlight night tonight, when as we are privileged to see on those cold, crisp winter evenings when the sky is completely clear, the air is almost gaspingly cold but mind-clearing, and the moon’s light looks like it could light up the entire universe. I’m atheist but that doesn’t stop me or others finding something holy in silence. The stillness of no sound. That sense of stillness and space and enduring solemnity when you walk into a cathedral. The breaking of the silence as a choir starts to sing a Christmas hymn or carol. Sounds, yet still, still. And yes, still - still it is. Deserving of more than just one word, still. Yet we are uncomfortable with being still. We are a restless species, prone to easy irritation, quick temper, instant irritation. One thing I have developed in my personal practice of mindfulness is to use what I experience to cultivate a related experience inside my mind. So if I look outside my window and see it is dark, I imagine my eyes closed in a meditative state, which is a state of visual darkness. I can visualise myself breathing in the very darkness of night, and feel the coolness of breath inside my nostrils as me drawing in the night, being part of nature, part of the vast, mysterious but beautiful existence we often consider darkness to be. When it is a cold frosty or snow-deep morning where everything seems to have been frozen stiff, I can use the visual experience of this to create it in my mind. Cold is usually associated with being clear so I imagine my mind as completely white, nothing in it except the colour itself. Clear as the beautiful sound of bell. And I let my mind abide on that sensation, that image. Too often we allow the downside of winter to affect us unnecessarily. The lack of sunlight, the short days, the cold air, the rain and snow affecting our movements and transport. But that’s also just imagined in our heads. Just because something happens or simply is, doesn’t mean we have to complain about it in our mind. With mindfulness we can choose to notice the external stillness as an opportunity to be still ourselves, and benefit from the beauty of mental stillness. And we can see darkness as a form of recovery inside, rest, and restoration. Winter therefore can be our opportunity for repeated moments of beauty, hibernation, stillness, clarity and joy. Martin Stepek is a Scottish mindfulness teacher and campaigner, poet, published author and columnist on Mindfulness for the Sunday Herald. He has written books and poetry and produced films based on his Polish heritage. 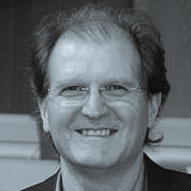 Martin is a member of the JONAA founding team and sits on the JONAA advisory board.